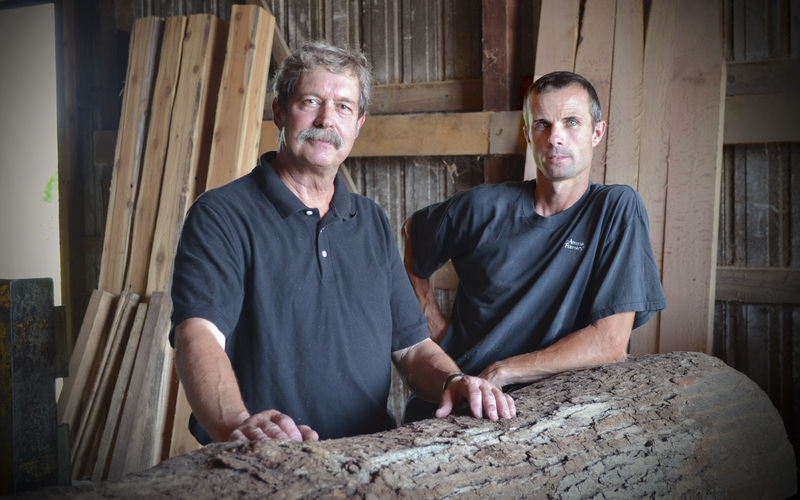 Our two Foresters, Larry Gnewikow and Tim Krauss. Our current staff consists of a graduate forester and a graduate conservationist intended to manage and control all aspects of land management from burning our prairies to planting our trees to harvesting with the least amount of impact. Keeping our forest healthy and diverse while maximizing productivity provides the most benefit to the company, stockholders, and employees of the Amana Society, Inc.